Combine this Public display with our PC Enclosures Floor Kiosk! 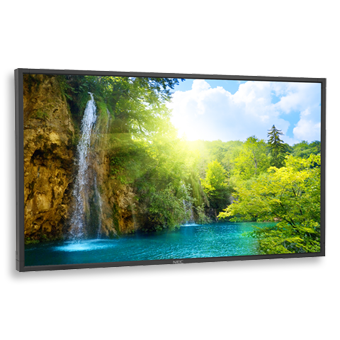 Expand your messaging options with the superior full HD screen performance of the 52″ NEC P521, a professional-grade LCD display ideal for even the most demanding digital signage applications. 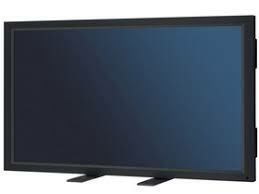 Boasting an industrial-strength design, the broadest connectivity, widest display control and the Enhanced Digital Signage Technology Suite, which touts more than 30 advanced features, this display delivers stunning visual impact for environments such as quick-service restaurants, airports, healthcare and retail. 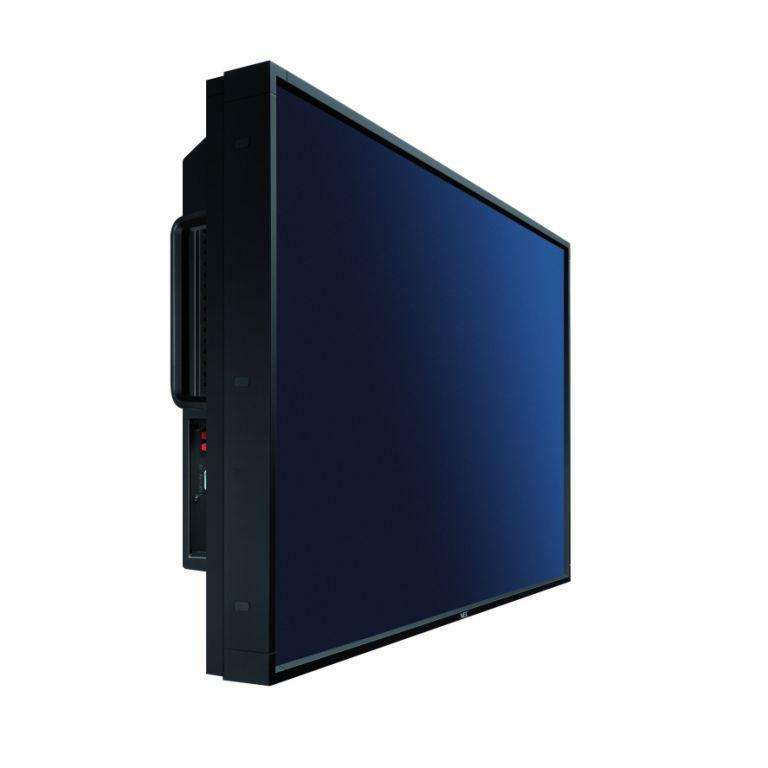 The NEC Multisync P521 52″ Public Display Monitor is a professional-grade LCD display that combines industrial-strength design with full HD images and more than 30 advanced features. 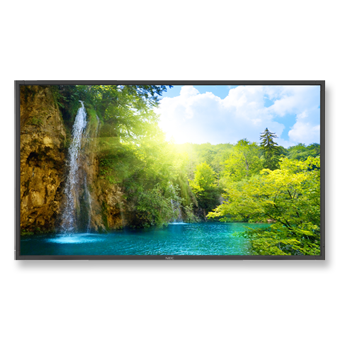 Ideal for digital signage, the P521 offers enhanced video wall capabilities along with an exceptionally broad range of inputs, including component, composite, HDMI, DVI, VGA and DisplayPort. 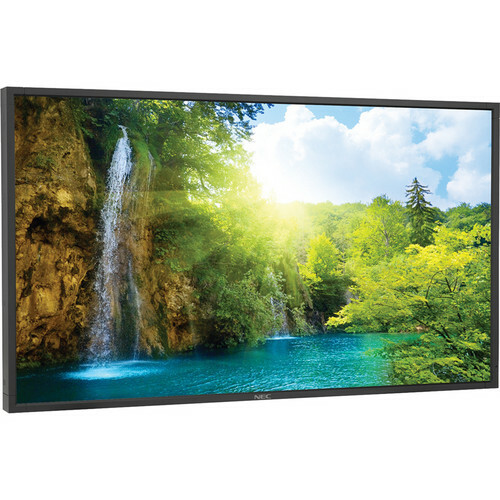 The monitor’s Enhanced Digital Signage Technology Suite (DSTS) provides the highest level of display management, including a TileMatrix option, which lets you create video walls out of up to 100 (10 x 10) displays–perfect for airports, fast-food restaurants, healthcare and retail environments. 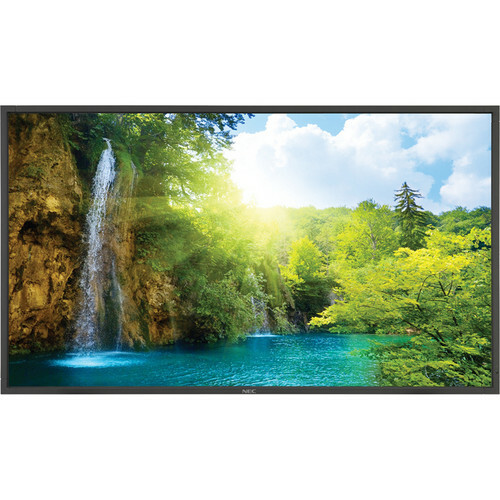 The professional-grade construction of P Series panels contributes to 24/7 usage, an overall longer panel life, lower likelihood of mura effect from localized heat, virtually no image retention and the ability to use in landscape or portrait orientations. 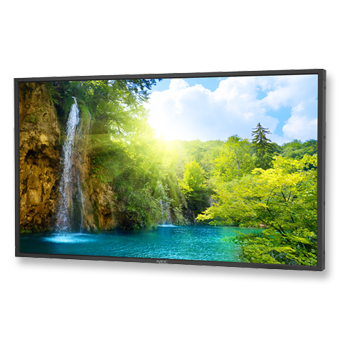 The panel’s thermal protection starts with an extra thermal layer on the display panel to diffuse heat, followed by multi-fan-based technology specially designed to work in both landscape and portrait modes and be controlled locally or remotely. Internal temperature sensors control self-protective circuits, while special self-diagnostics communicate the status of the thermal characteristics. 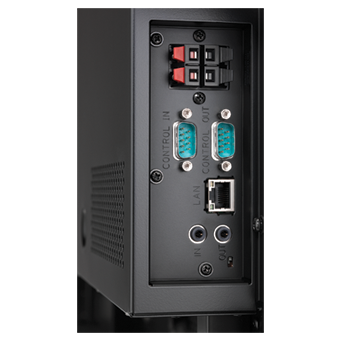 NaViSet software offers an intuitive graphical interface, allowing for easy adjustment of display settings via mouse and keyboard. 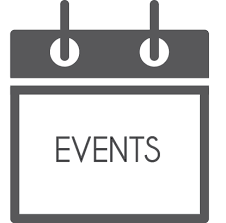 NaViSet Administrator provides all the advanced control to remotely located IT professionals. 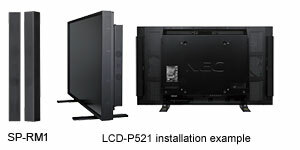 DDC/CI standard allows for PC control of the display based on the VESA command set. 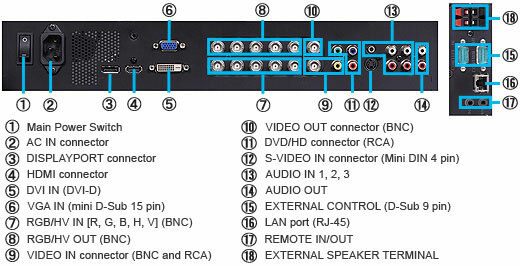 Future-proofs your display investment, allowing for seamless integration of NEC and third-party components, including an HD-SDI card, single-board computer and DVI daisy chain capability. 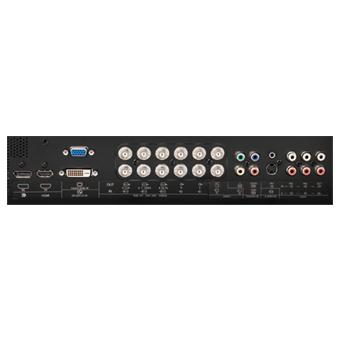 The P Series sets the standard for connectivity, including quick input change, customized detection, and naming.